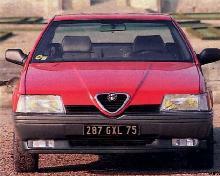 In November 1986 Alfa Romeo was sold by the Government-backed IRI to Fiat, who announced that they would aim Alfa products at the BMW market. The first fruit of the merger was the 164, Alfa's version of the front-wheel drive Type 4 car which was also made in a Fiat version as the Croma, by Lancia as the Thema, and by Saab as the 9000. Careful attention to styling, particularly at the front, gave each car a measure of individuality, and the 164 had its own engine, a 185bhp 2959cc V6. 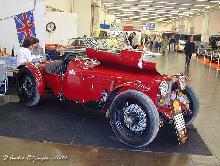 The engine range was later broadened to include a 1962cc four, 1966cc V6 and a 2500cc 4-cylinder turbo diesel. 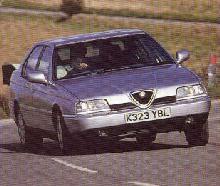 The 164 was made until 1998 when it gave way to the 166.